On Mar. 12 at 11am there was another shake-down and move against Rev. 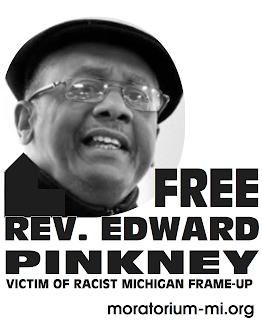 Pinkney by the Berrien County jail guards. The sgt. took his mattress and blanket. At some point they were returned, but we now see a pattern of intimidation attacks against Pinkney. 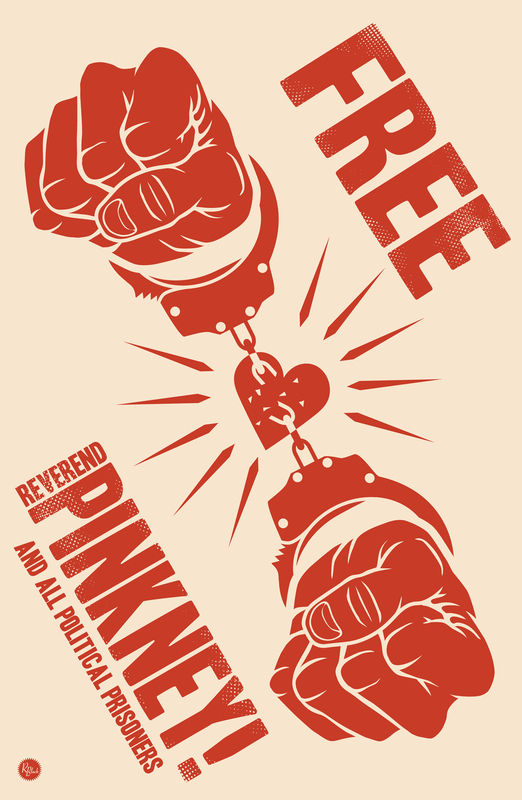 Pinkney is a "model prisoner" - helping and counseling other prisoners. He reports "spontaneous" angry outbursts by guards which are obviously carefully planned. The following is the continuing story of the L.D. Fuse case in Berrien County courthouse. One can hardly believe this story. It's a result of a court operating in geographical isolation, unchecked by the state. It would appear that the judges and attys. have never stepped inside of another courthouse, getting away with the most unethical, inhumane legal shenanigans imaginable - for many, many years. A true kangaroo court which must be seen in action to be believed. These injustices are going on everyday in Berrien County Courthouse. ST. JOSEPH — A judge ruled Friday that no witnesses were intimidated when a Ben ton Township police officer took out a gun in front of de fense witnesses waiting to testify in a trial at the Berrien County Courthouse. Berrien Trial Court Judge Charles LaSata denied a mo tion for a new trial filed by L.D. Fuse Jr., who claimed that Patrolman Scott Igert scared and intimidated wit nesses outside a courtroom on Feb. 21. After an evidentiary hear ing, LaSata said witnesses John Fuse and Roy Jr. Wade both told the court that the gun incident did not cause them to leave anything out of their trial testimony. “There is nothing unusual about police officers having guns in the United States,” he said. Police are allowed to have guns in courthouses and court rooms, the judge said, except in cases where an officer is a party in a divorce action. L.D. Fuse claimed that wit nesses were intimidated by Igert as they waited in a hall way to testify during his trial. Fuse, 50, and his mother, Lau ra Fuse, 70, were found guilty by a jury of resisting and ob structing police at their house at 1776 Eastland Ave. while it was burning Nov. 12. Police said they had to re strain the Fuses to stop them from entering the house and being killed or injured. De­fense witnesses testified that police used too much force and at one point administered a second jolt from a Taser to L.D. Fuse when he was al ready on the ground. The mother and son are free on bond pending sentencing on April 7. John Fuse, who is L.D.’s brother, and Wade, who lives next door to the house on East land, told the court Friday that Igert stepped into the hallway after testifying on Feb. 21, the first day of the two-day trial. The witnesses said Igert put a leg up on a chair, took a gun from his ankle area and put it away at his back. John Fuse testified that Igert looked at the gun and turned it in his hands as a row of seated defense witnesses looked on. Igert then put the gun away at the small of his back and left, Fuse said. Fuse said all the witnesses were watching Igert, who did not point the gun at anyone. “On that carpet you could have heard a pin drop. Con versation stopped. All eyes were on him,” Fuse said. Questioned by defense at torney Bradford Springer, Fuse testified that he was also frightened in an incident ear lier in the day when Igert fol lowed him into a bathroom and made a quick hand motion inches from Fuse’s face to put down a piece of paper. Fuse told the court that he and his mother, Laura Fuse, had discussed a possible civil damage suit against the Ben­ton Township Police Depart ment. Wade testified that he was nervous when he came to court Feb. 21 because he was going to have to testify about police behavior at the fire scene. Wade said he did not believe that Igert was planning to shoot anybody when he took out the gun but the officer was trying to scare witnesses. LaSata also rejected several other claims raised in the de fense motion for a new trial. Chief Assistant Prosecutor Michael Sepic, who presented the state’s case at trial, prop erly brought in evidence about a conviction against defense witness Tim Kopaceski, the judge said, because it was to show possible bias against the police department. Also, evidence that Springer wanted to introduce about lapsed police certifications for Taser weapons, and whether the Tasers were properly pro grammed, was not relevant to the criminal activity of resist ing and obstructing police, La Sata said. And Springer was given all the time he wanted to present the defense theory of the case in his closing argument, La Sata said. Springer argued that the judge should have instructed the jury on the defense theory. Contact Scott Aiken at saiken@herald palladium.